Istanbul, Turkey – In April 2017, Tarim, a 48-year-old businessman from Urumqi, the capital of China’s Muslim Xinjiang region, received a phone call from the police summoning him to their offices in Aksu prefecture, 900km to the southwest. Tarim knew at once that he was in trouble and devised a getaway, keeping the details to himself. He had just a few hours to carry out his plan. Two days earlier, he was in Aksu for an attempt to rescue his sister Zohra, who was sent to a “re-education camp”, after travelling to Turkey with him and their mother in 2016. With a payment of 20,000 Chinese yuan ($2,900), he convinced officials to allow him to visit his sister. He had originally intended to use the money to convince the same local officials to let her out, but he was told that was impossible. What he saw inside his sister’s camp convinced him it was time for him to leave Xinjiang, he said. Tarim’s testimony about what’s happening to the Uighurs in Xinjiang, and interviews with two Uighur women in Istanbul, also line up with Human Rights Watch’s (HRW) latest report accusing China of “conducting a mass, systematic campaign of human rights violations”, against the Turkic-speaking Muslim minority group. Tarim’s sister was detained with up to 3,000 others near a military base a few kilometres north of Xayar, a city in Aksu. Tarim had to pass through two security gates to reach the main entrance, which was guarded by two uniformed men. About 30 metres from the entrance was another security checkpoint with about 25 soldiers and uniformed personnel standing next to armoured vehicles. While waiting for his sister, Tarim said he saw a group of around 500 people squatting on the ground. It seemed like they had just arrived, as they were changing from their regular street clothes, to the bright blue uniforms issued by the camp. All the men had clean-shaven heads. It was past seven in the evening when Tarim arrived at the camp but the sun was still up, so he managed to recognise some of the faces among the crowd from his old neighbourhood in Aksu. After about an hour, Tarim’s 33-year-old sister, Zohra, was finally brought to the waiting area, where they had a chance to talk for a “very short” period. He noticed that Zohra was not her usual self and said that she looked pale. Dark spots formed around her eyes, which welled with tears. As they spoke, a female security guard and two men watched over them. Zohra told her brother that she needed to complete some “lessons” and undergo a test afterwards. If she passed the test, she would be released. She never said how long she would be staying in the camp, and Tarim never found out. After talking to her for 10 minutes, he was on his way out of the building. Tarim’s failed attempt at freeing his sister must have alerted other authorities. Two days later, the call from the police came. Fearing that his detention was imminent, he scrambled to find a way out. The day after receiving the call, Tarim showed up at Urumqi’s Diwopu International Airport to fly to Aksu as requested by the police. With just a small piece of hand luggage and a plane ticket, he checked in for his domestic flight, which was scheduled for 9:55am. As proof, he took a photo of his boarding pass and sent it to the authorities waiting for his arrival. Tarim had never gotten into trouble before, so he was not on any government “blacklist”, which would have alerted authorities. Failing to report to police headquarters in Aksu, would have automatically put him on that list. That’s why he complied with their request. For Tarim, Xinjiang is home, and he never thought that he would have to give up his lucrative business there. At 16, he started working as a fruit seller and textile vendor, and had since amassed considerable wealth. But he was quick to act once he got the opening to leave. While waiting at the airport, he called his office in Urumqi with an instruction to book him the earliest flight to Istanbul-Chinese passport holders can apply for a visa on arrival in Turkey. The plane to Istanbul was leaving at 10:40 am via Astana, the capital of neighbouring Kazakhstan. Instead of taking his flight to Aksu, Tarim proceeded to a different gate to board a plane that would take him to Istanbul. Between his original flight and the boarding time to Astana, he only had few minutes to spare. As he waited for his getaway flight to take off, Tarim told Al Jazeera that he shook with the fear that he might get caught. 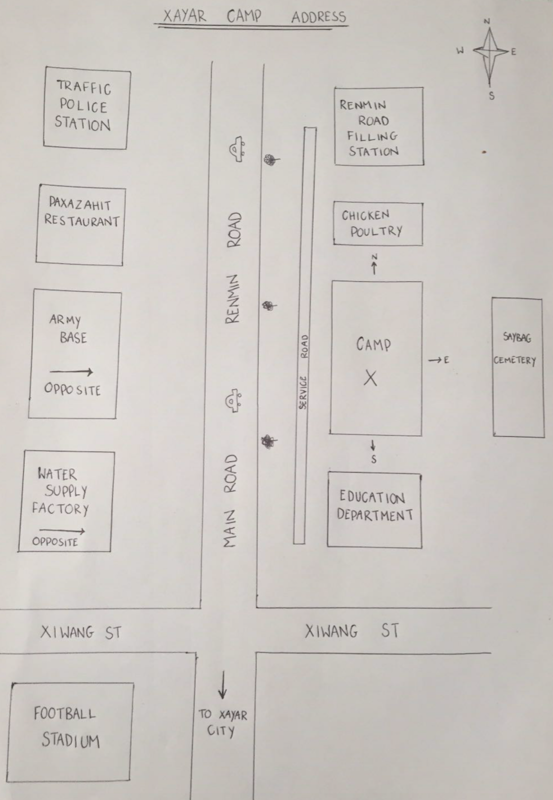 Tarim’s testimony bolsters HRW‘s latest report, which claims that as many as one million people are being held in “camps” across China’s western region. Turkic-speaking Muslim Uighurs make up eight million of Xinjiang’s 19 million population [File: AP]. It also corroborates recent UN findings detailing a “mass surveillance” programme “disproportionately targeting” the Uighurs and other Muslim minorities. For its report, HRW interviewed at least 58 former residents of Xinjiang, including five former detainees. Al Jazeera interviewed Tarim and the two other Uighur women separately. China has rejected the latest UN report. It said tough security measures in Xinjiang were necessary to combat “extremism and terrorism”, but added it did not target specific ethnic group or restrict religious freedoms. Beijing also said that people with “minor offences were provided with assistance and education to assist them in their rehabilitation and reintegration“. According to conservative estimates, there are an estimated eight million Uighurs in Xinjiang, out of a population of 19 million. Commenting earlier on the UN report, Amnesty International’s Deputy East Asia Director Lisa Tassi urged the Chinese government to “heed the call to tackle serious human rights violations”. “Rather than dismissing the [UN] Committee’s recommendations, it must immediately set out next steps to address them,” Tassi said in a statement, while calling on the international community to hold Beijing to account “for its repression of ethnic minorities and cultures”. Years of migration by the Han Chinese have turned the Uighurs into a minority in their own region. Since then, they have complained of more discrimination against their culture, language and religion. Reports of mass detentions at “re-education camps” in Xinjiang started to filter out of China in 2017. 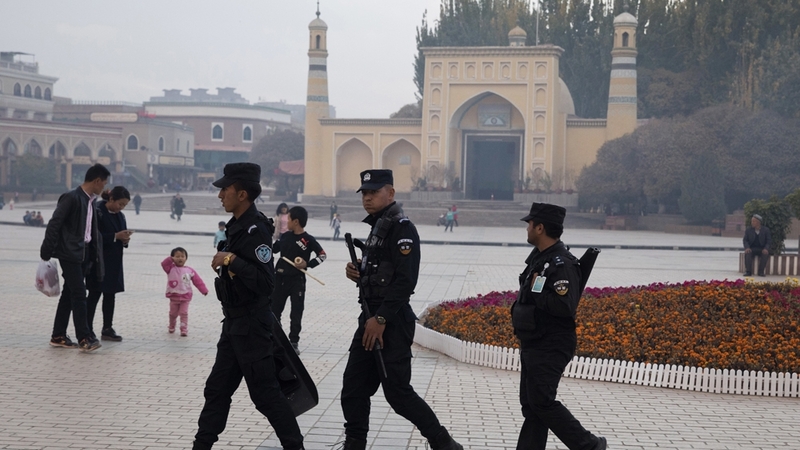 According to an earlier HRW report, forcible detentions of “thousands of Uighurs and other Turkic Muslim minorities” started in April 2017, around the same time Tarim’s sister was detained. State-backed media referred to the camps as “counter-extremism training centres”, while critics call them “concentration camps”. Scenes similar to what Tarim had described were repeated across Xinjiang in early 2017, as the Chinese government stepped up security efforts in the region, following unrest in 2016 and in previous years. Human Rights Watch said the “level of repression increased dramatically” after Communist Party Secretary Chen Quanguo relocated from the Tibet Autonomous Region to assume leadership of Xinjiang in late 2016. 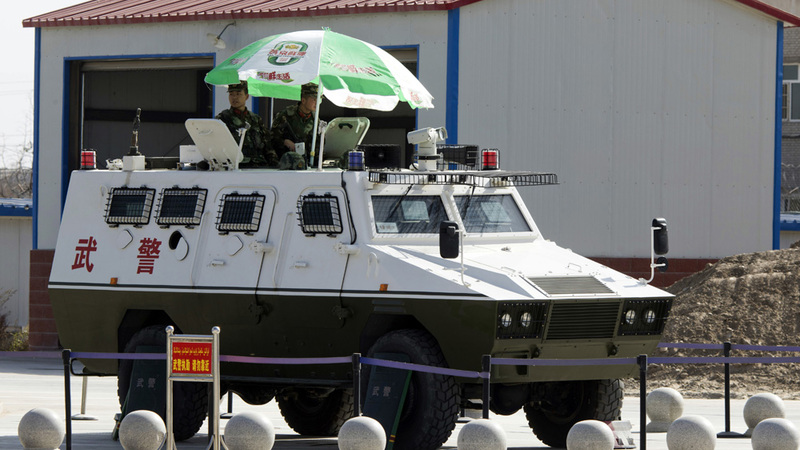 “The Chinese government is committing human rights abuses in Xinjiang on a scale unseen in the country in decades,” Sophie Richardson, China director at Human Rights Watch, said in the report. On Monday, September 10, new UN rights chief, Michelle Bachelet, highlighted China’s treatment of the Uighurs, saying UN investigation “brought to light deeply disturbing allegations of large-scale arbitrary detentions” in Xinjiang. Belkez, a 38-year-old Uighur who now lives in Istanbul, said Chinese authorities took her mother, father and husband to a re-education camp in April 2017. She does not know the whereabouts of her three-year-old daughter, who was also taken by authorities. Belkez, who was a former local government employee in Urumqi, and her five children left for Egypt in September 2016. She was hoping her husband and youngest child would join them shortly after. Like Turkey, Egypt also offers visa on arrival for Chinese citizens. But her husband and their infant daughter never got their passport. The last time she spoke to her husband was on April 1, 2017, just days before his detention. “I never thought that it was the last time that we would speak to each other,” Belkez told Al Jazeera, as she tried to hold back her tears. 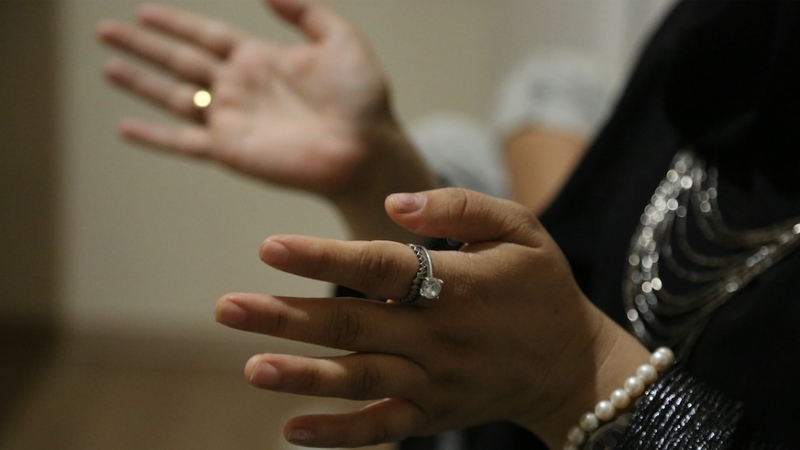 Years of government repression, including the prohibition of the hijab and fasting during Ramadan, pushed her family to finally leave Xinjiang, she said. Belkez and her five children stayed in Egypt for nine months, before deciding to move to Turkey. Rebiya, a 43-year-old former resident of Urumqi, left with her two children, aged 12 and three years on January 28, 2017. Four months later, she expected that her husband would follow. But he was held at Urumqi’s airport and later sent to prison. She has not heard from her family since October 2017 and has since stopped trying to make any contact to avoid putting them into more trouble with the Chinese authorities. Rebiya also recalled the riots in 2009, when she said she witnessed a Muslim Uighur couple and their four-year-old child being killed during a knife attack. “The pain and anguish of families torn apart, with no knowledge of what’s happened to their loved ones stands in stark contrast to Beijing’s claims that Turkic Muslims are ‘happy’ and ‘grateful,'” said Richardson of HRW. Like Rebiya’s husband, Tarim, the Uighur businessman, could have encountered the same fate at Urumqi’s international airport, but he managed to slip out. Tarim’s hands started to fidget as he recalled to Al Jazeera those crucial minutes of his escape. He shook his head repeatedly in disbelief. Even after arriving in Astana for his connecting flight to Istanbul, Tarim was still fearful of being sent back to China. The Kazakh government has been accused of deporting Uighurs to Xinjiang, according to the US-funded Radio Free Asia and the Uyghur Human Rights Project. For Tarim, the hours spent in Astana during his layover were a torment. “What if the Chinese authorities suddenly call Kazakhstan and ask that he be deported,” he wondered nervously. He arrived in Istanbul on April 11, 2017, to start a new life, joining his wife and children, who had already fled to Turkey earlier. Tarim said he still fears for his safety, and that of his family members who are left behind, that’s why he hesitated for a long time before talking about his experience. Next articleWhat do you see in this image?